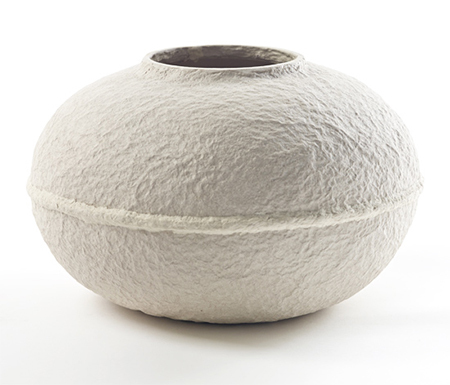 Debbie Wijskamp has been operating from her studio in Arnhem, Netherlands since graduating in Product Design in 2009. 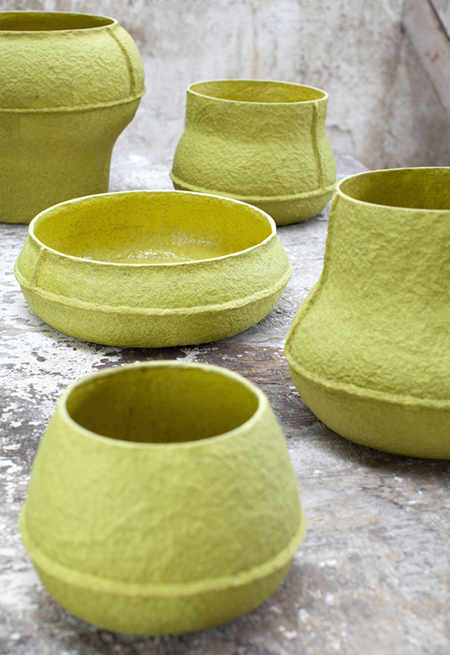 Inspired by everyday objects and materials that surround us on a daily basis, she investigates their boundaries in order to create beautiful products for interiors. 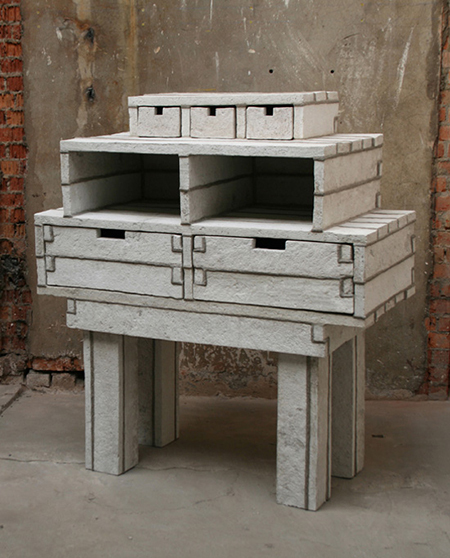 In 2009, she created a collection of vessels made from recycled paper and used this same material to build a series of cabinets and pendant light shades. 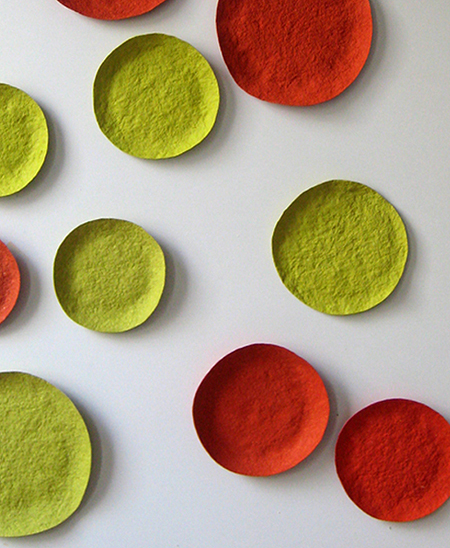 She then expanded the range to limited collections, PaperPulp+ and PaperPulp Bright. 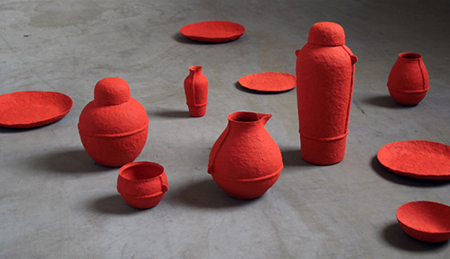 In 2013, her experiments continued with the project Circle of Life. 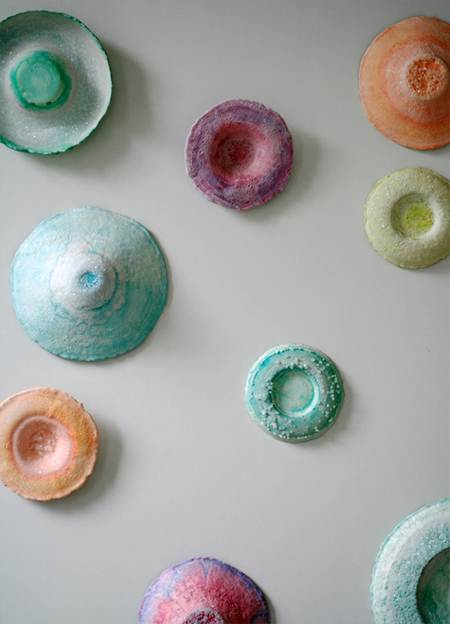 These wall objects are made from recycled paper, plaster and crystals. 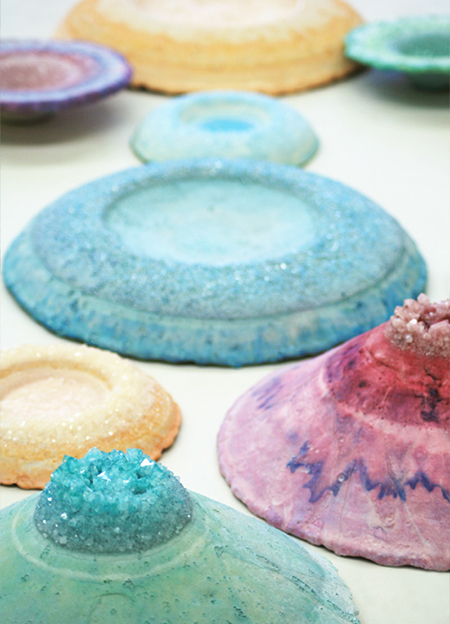 The colour and crystals grow on the surface of the objects during the production process. 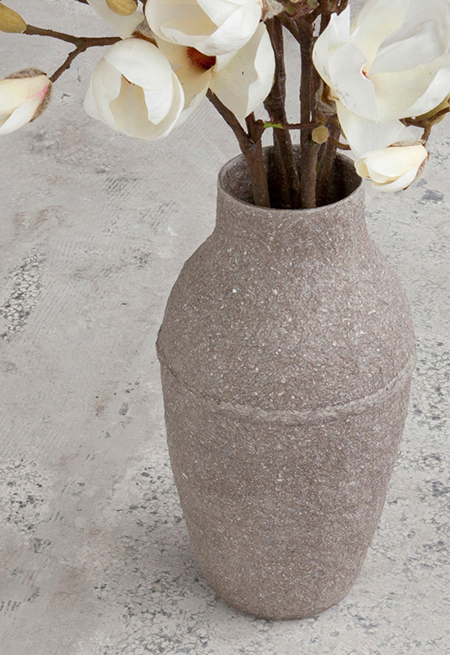 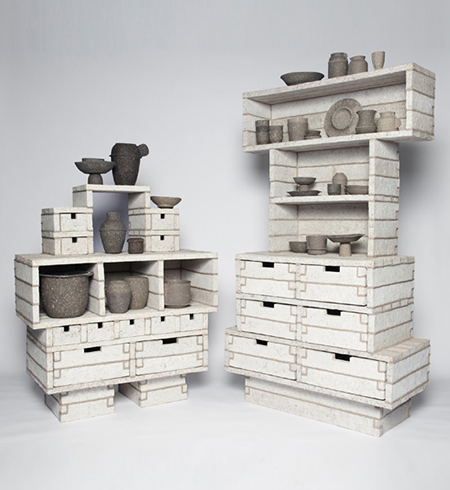 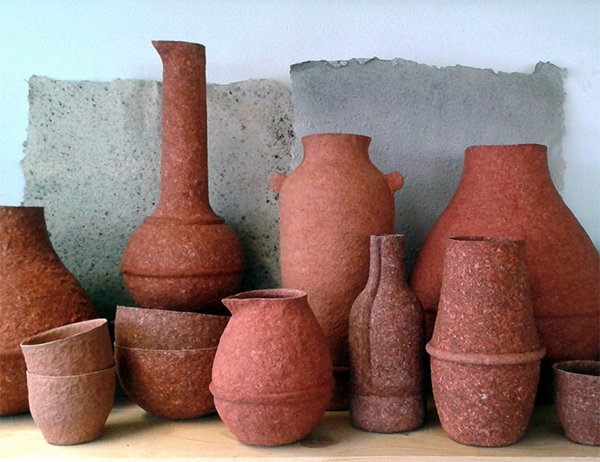 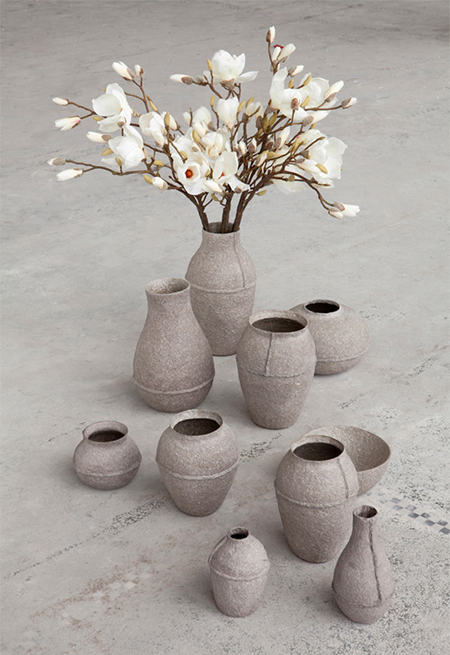 She now run workshops on how to make paper pulp creations from her Arnhem studio.